Thaandavam crew is in London shooting for the film. But untimely rain is playing games with the team, not allowing them to proceed forward. But the director of the film, AL Vijay is pretty confident about completing the schedule on time. 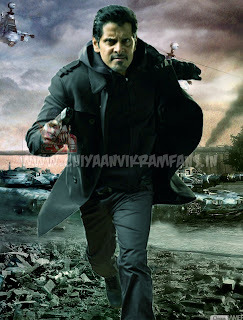 The buzz is that the film makers have also decided to release the first look teaser in June.